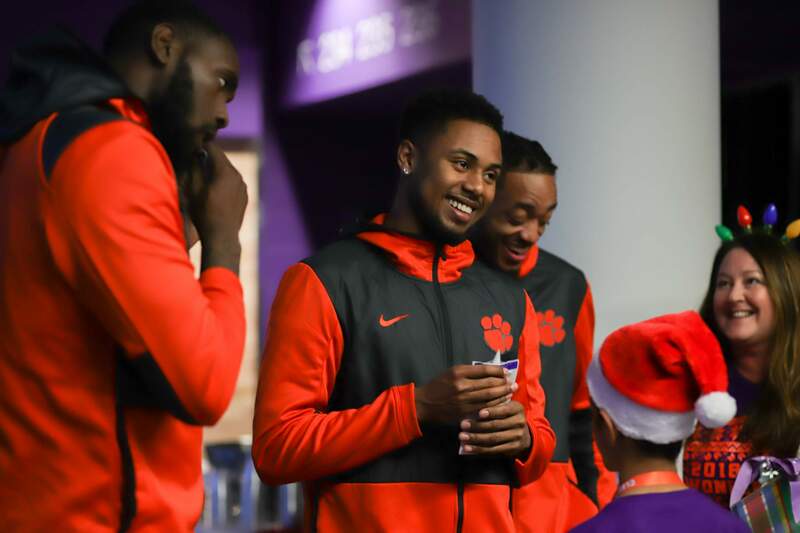 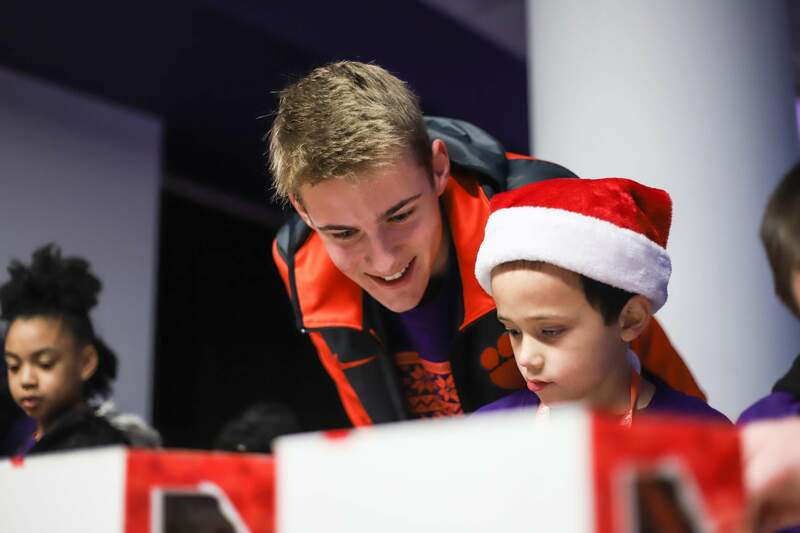 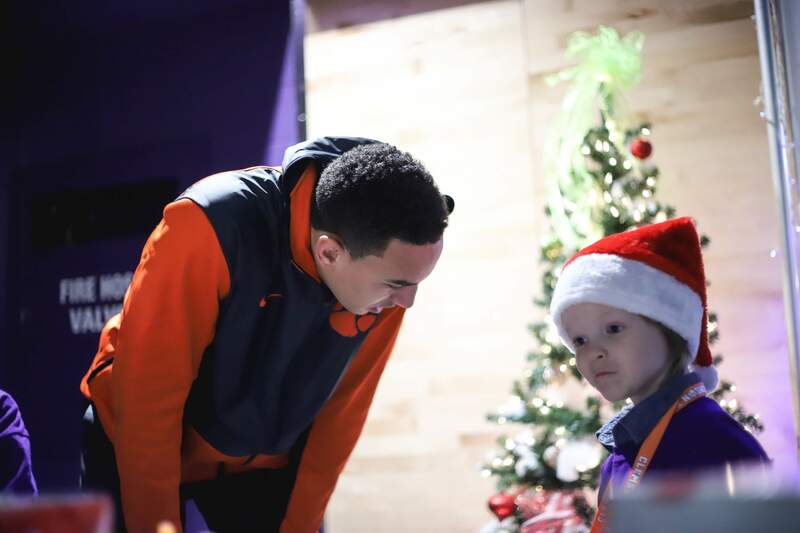 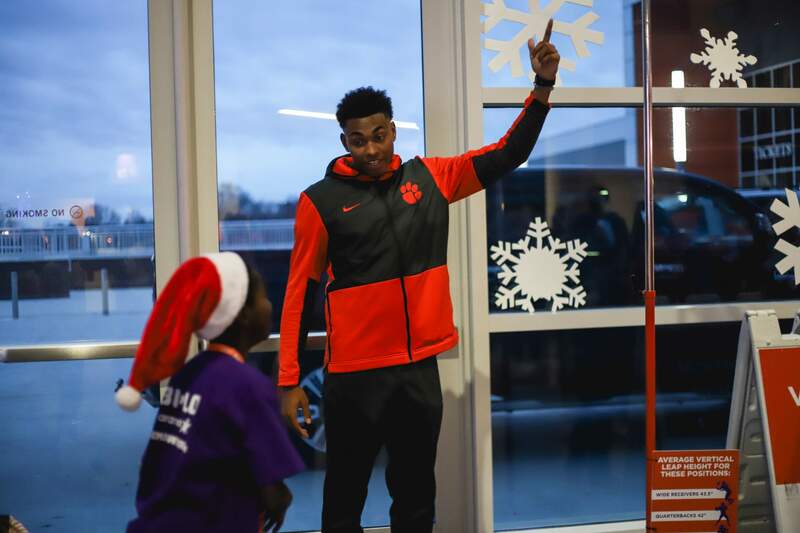 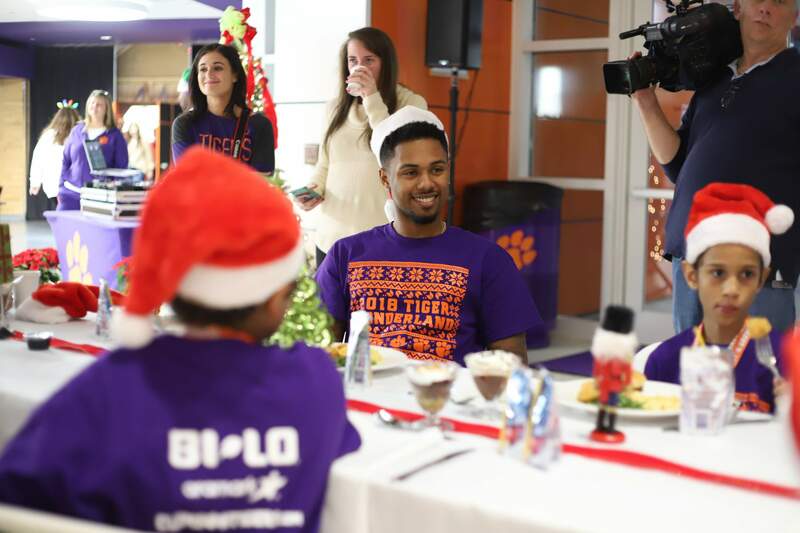 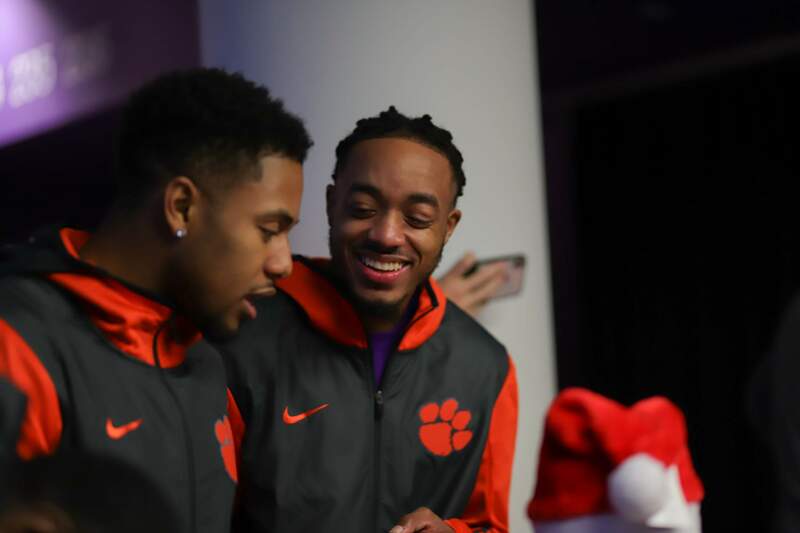 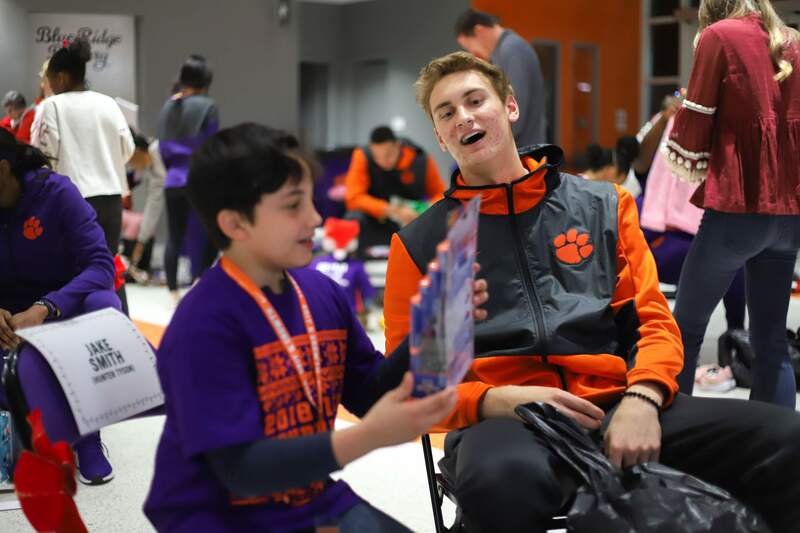 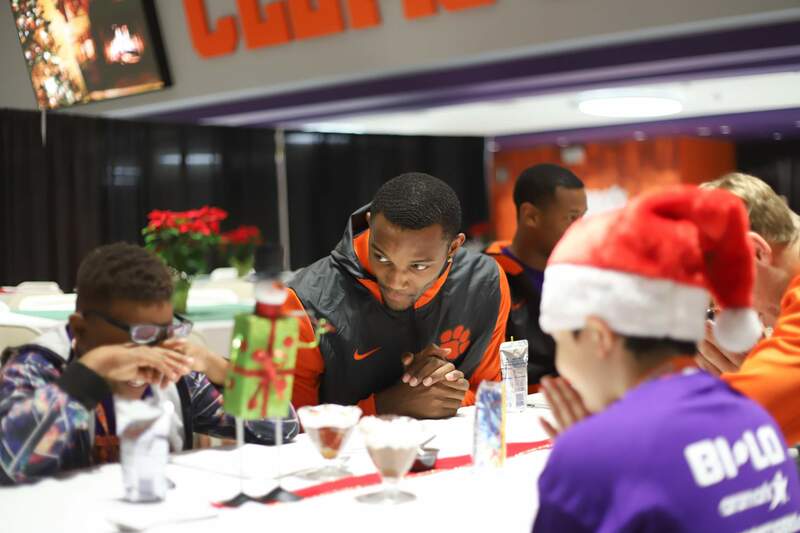 Clemson University men’s basketball hosted its annual Tiger Wonderland event on Thursday, Dec. 13. 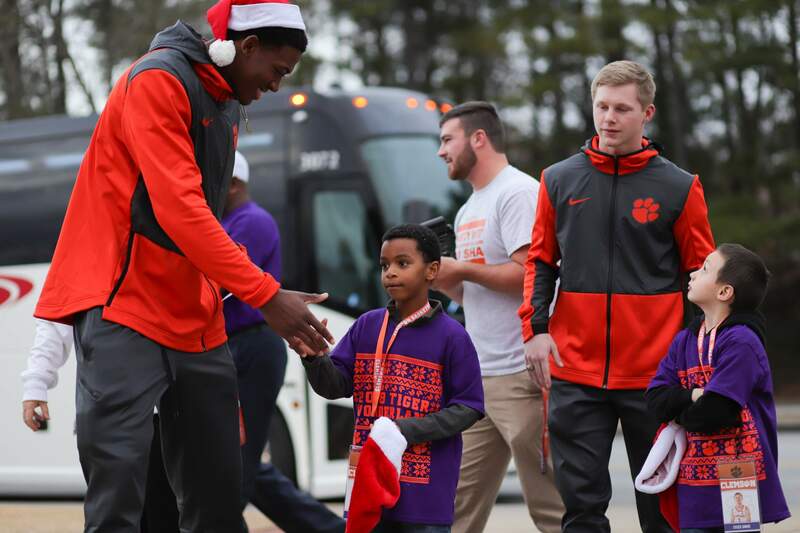 The team hosted 26 area children from Clemson Community Care to make sure they had the opportunity to have a Merry Christmas. 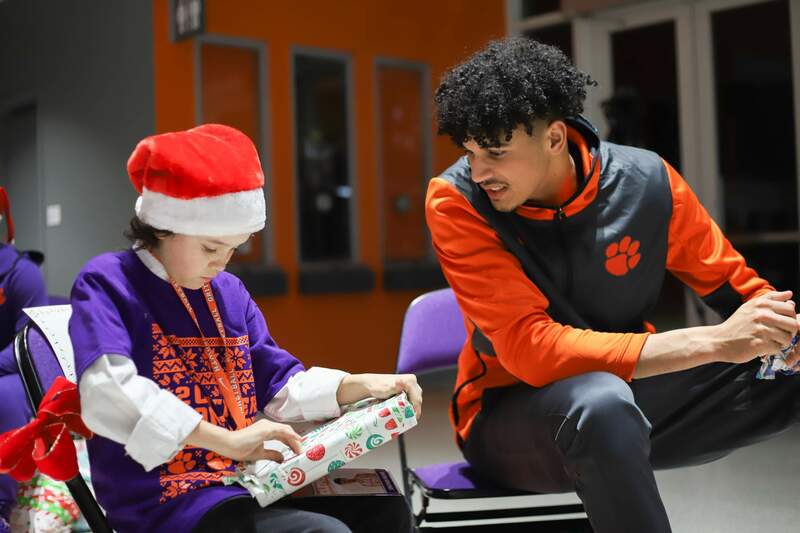 Clemson Community Care is a local organization that provides assistance with basic needs such as food, shelter and utilities for area families in need. 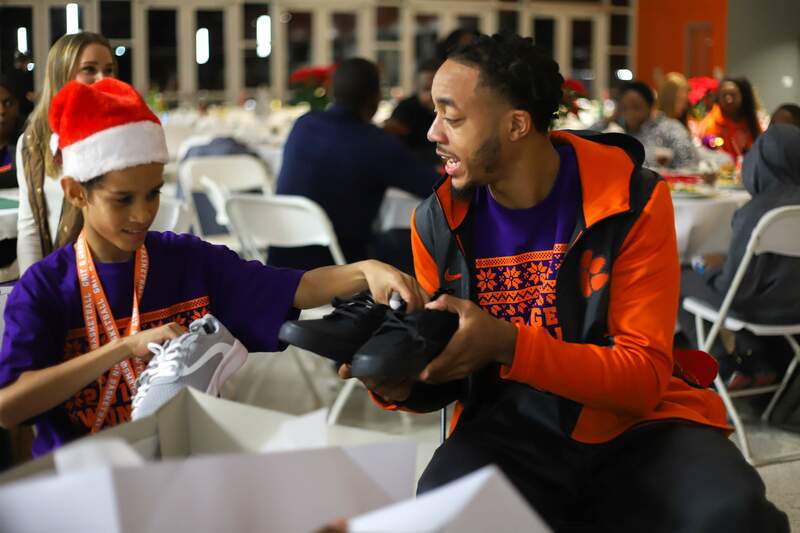 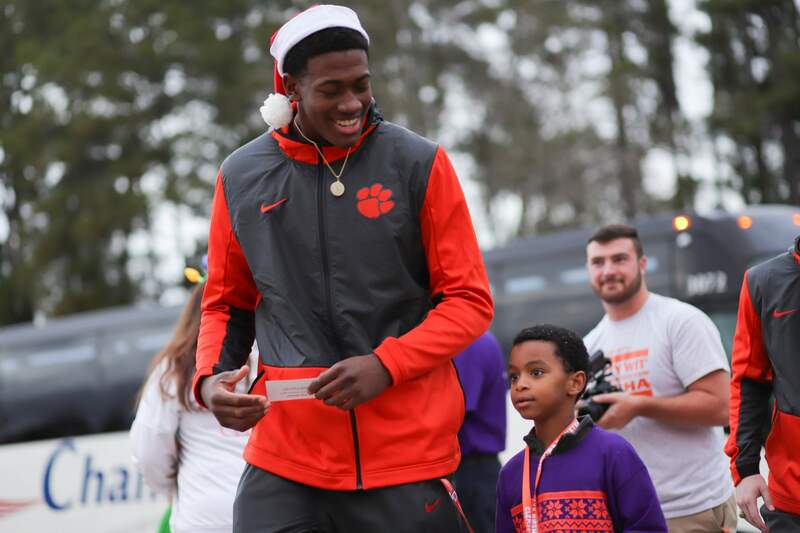 For Tiger Wonderland, the organization works with the Clemson basketball office to provide a list of children, and the children’s parents provide their clothing sizes and a wish list of toys. 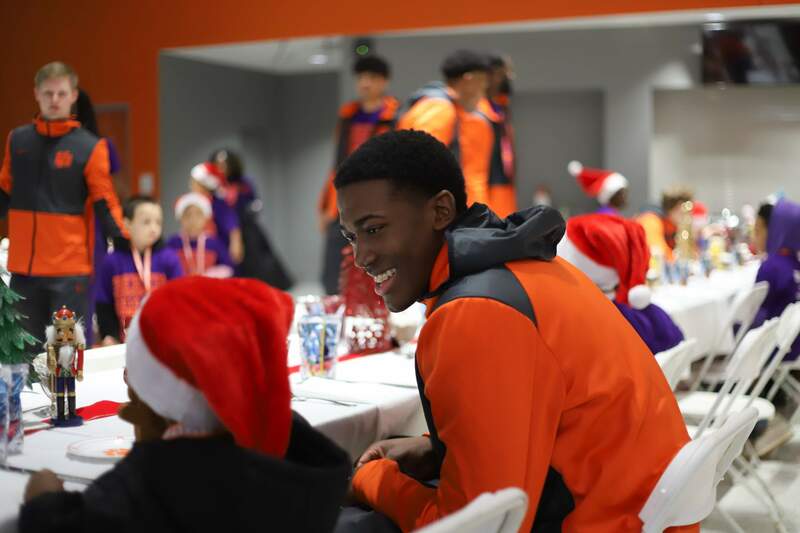 After an arts-and-crafts session and some holiday treats, the groups shared a meal and then proceeded to the Burton Gallery to open up presents with each member of the basketball team. 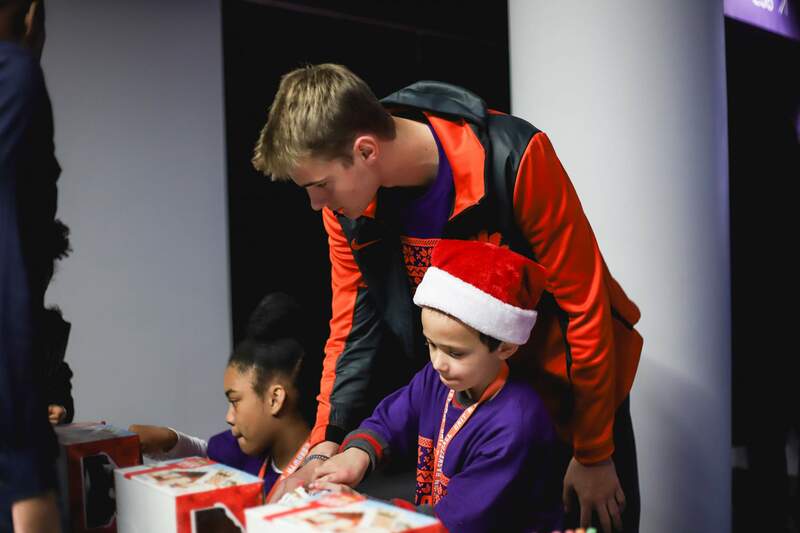 This event is always a great way for our program to give back to the community. 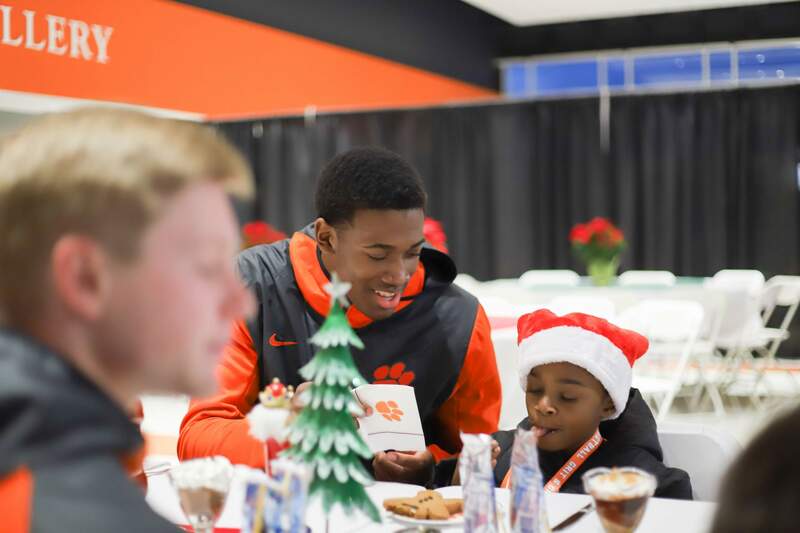 It’s rewarding to see the smiles on the kids faces. 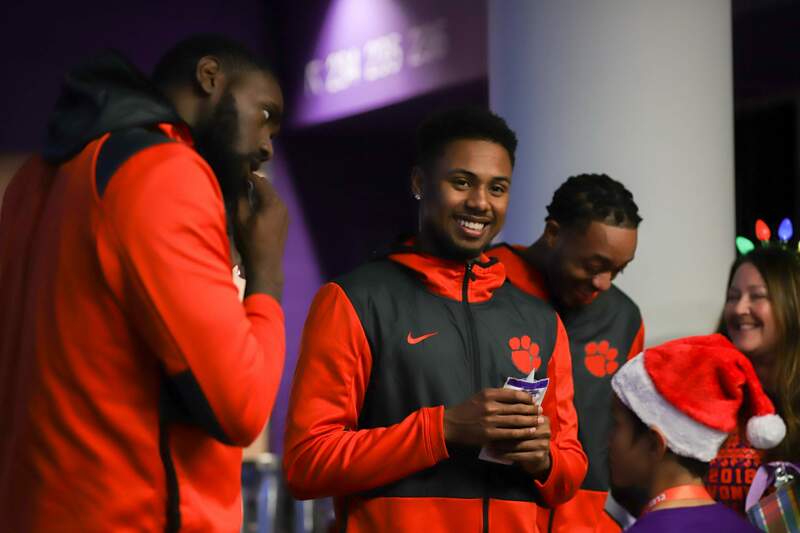 It wasn’t long ago that many of our players were in the same situation. 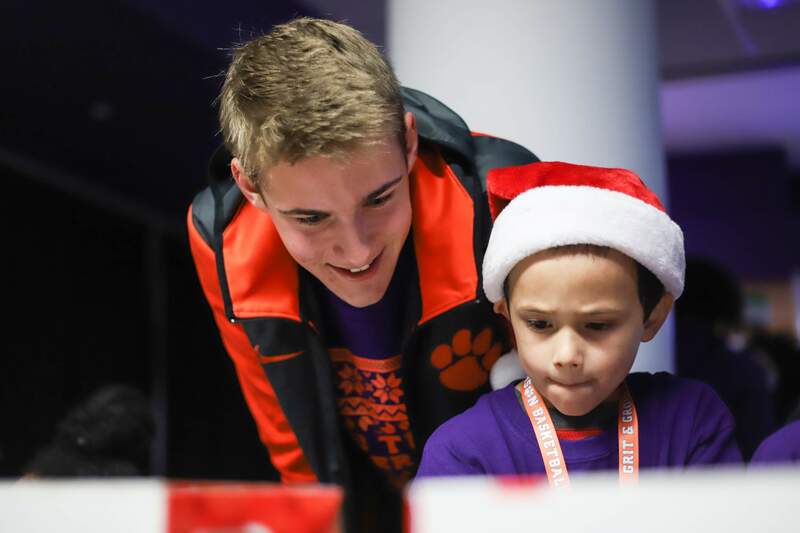 We all had a blast tonight seeing them all interact together and have fun for a great cause.